We have compiled a list of Frequently asked Questions below, if the below doesn’t answer your question, please contact us using the links at the top of this page. Check out our resources pages for more information. Do you only make sites for local companies? No we have been building websites for some of the Worlds biggest companies,like P&G, examples can be seen on our corporate webdesign site at our Portfolio Page There is an example of a parallax design here.. (Speak to us if this appeals to you). Our Local design idea is to help the smaller business in our area. What happens once I order a new website? If you decide to use our services we will arrange to meet with you and discuss your exact requirements. At this first meeting which should take no more than an hour of your time we will ascertain which package you need. We will talk about email, – Photos/images, – Social media, and SEO and if you wish to proceed we will ask you to provide the words and content for your new pages. If you already have a website we will need to have the hosting and domain details so that we can start sprucing up your new web presence. If you have never had a website before we will find a suitable domain name and register it for you. DNS (Dynamic Name Servers) need up to 48 hours to resolve your new domain name, then we can start work on your new site.You will be given a username and password so initially only you (and us) can see the website progress and between us we will shape the pages, words, images and functionality to your exact requirements (within reason! If you ask us for impossible features or unfriendly web colours or unsuitable images, we may decline) We hope you will be happy to be guided by our expertise and specialist knowledge in interpreting your thoughts through to a finished site which once completed will have the password removed and the whole world will see your masterpiece. Do you make Apps for my phone? yes our new App service can be found here: here..
Firstly try our client resource page or If you need our technical help, you can raise a support ticket here..
Ray Smith Marketing is a web design and digital marketing company that has been working in the industry for many years now. In that time we have developed a reputation for providing first-class professionalism and quality at unbeatable prices. At Ray Smith, we believe that our highly professional and effective level of service should be available to everyone – from small businesses to individual entrepreneurs no matter how small or large. We strive to bring the kind of premium quality you associate with those A-list brands in an affordable package providing the very best design and marketing services for the best prices on the net. 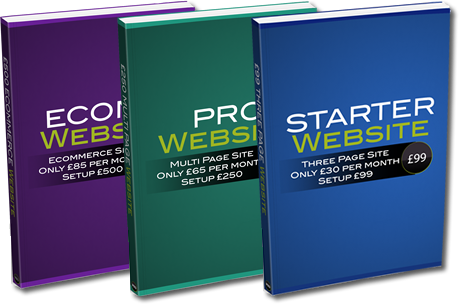 We are not just web designers, we offer to create your complete online business model including SEO, Email Marketing and Social Media promotion as well as paid advertising campaigns. Our monthly support plans can include as much or as little as you like, you choose. Call today for a free no obligation quote. Another thing that sets Ray Smith apart is our commitment to transparency and communication. We like to keep our clients informed at every step of the way and offer a friendly customer service that will always be available. We offer all of our clients a completely free price quote and consultation, so if you’re thinking about working with us give us a call or drop us an email and we’ll start discussing your options.